This Project consisted of O'Hara Engineering Services Ltd.being the works Contractor for Irish Life Assurances PLC in the construction of indoor 20kV Sub-Stations in their Irish Life Centre in Dublin City Centre. The turnkey packages was won on tender from Irish Life in Association with Aramark and JMC & Associates. 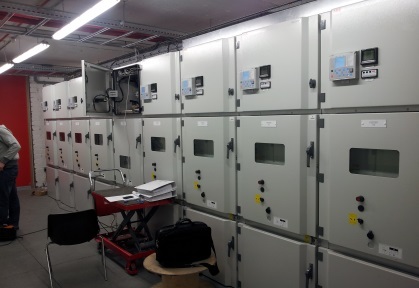 The system introduced was based on communications IEC 61850(Goose messaging) future proofing the protection scheme whilst using the existing site switchgear.